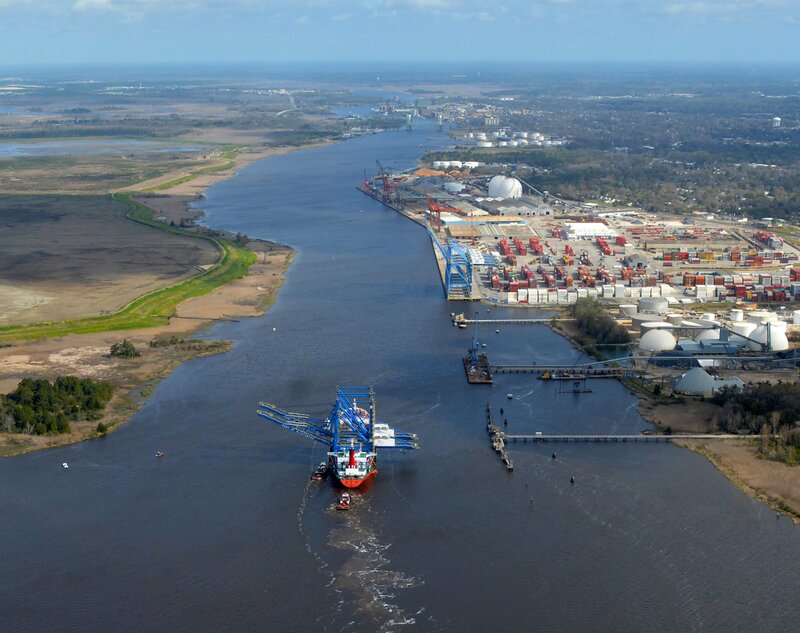 Two $33.5 million cranes make their way up the Cape Fear River guided by boats from federal, state and local agencies, to be installed at the Port of Wilmington. The money for the new cranes was appropriated by the N.C. General Assembly so the port can draw bigger fish in the international shipping industry. March 29, 2018 Wilmington, N.C.